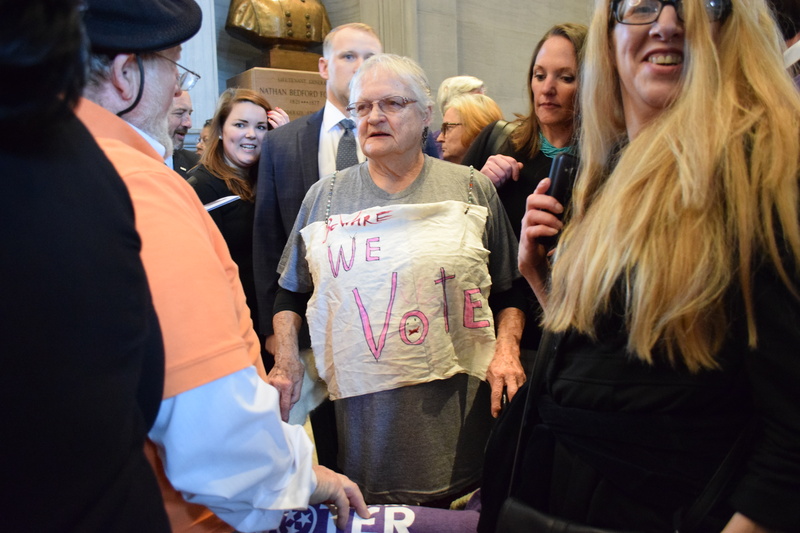 Protesters gathered at the Tennessee State Capitol before the first General Assembly meetings of the new year to bring attention to the state of health care in Tennessee Tuesday morning. The “Bring It Home: Dollars. Jobs. 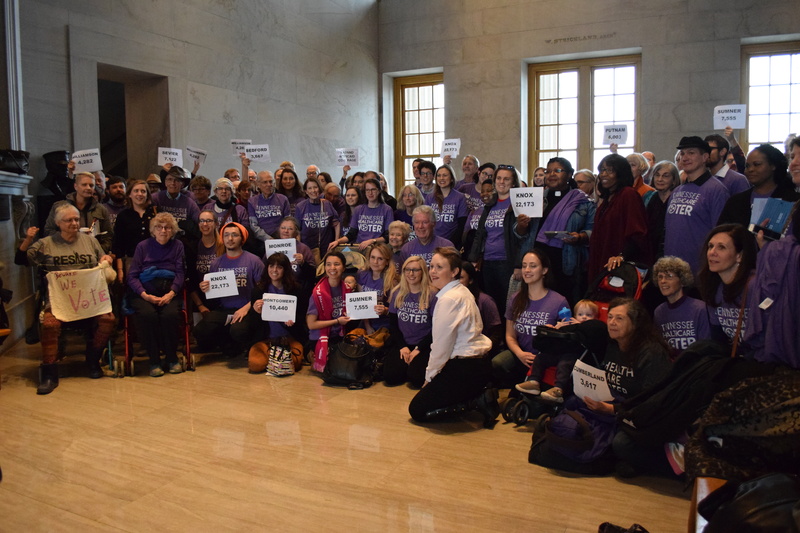 Health care!” campaign, created by the Tennessee Justice Center, a nonprofit organization that advocates for families in need, was made to persuade Tennessee lawmakers to support using federal tax dollars for health care in Tennessee. 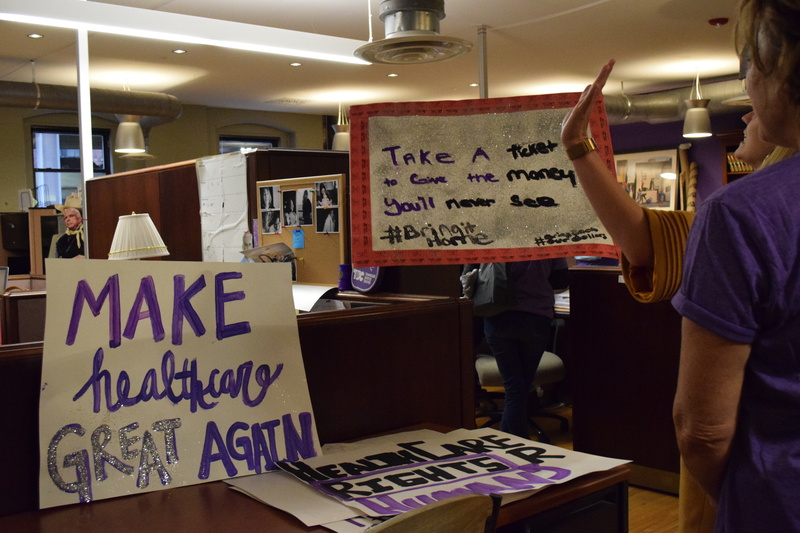 Chants, such as “bring it home” and “affordable health care now,” rang throughout the capitol building as assembly representatives walked through the double doors and into the chamber. 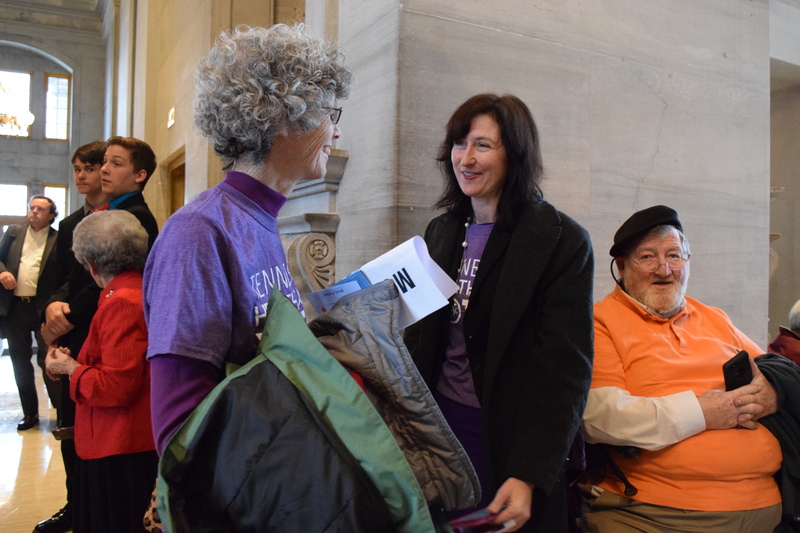 Pam Beziat, a retired nurse and Tennessee resident, came to support the rally and stated why she believed affordable health care in Tennessee is important. Due to a lack of funds over the past three years, 10 rural hospitals have closed entirely, and 24 rural hospitals are still at risk of closing. 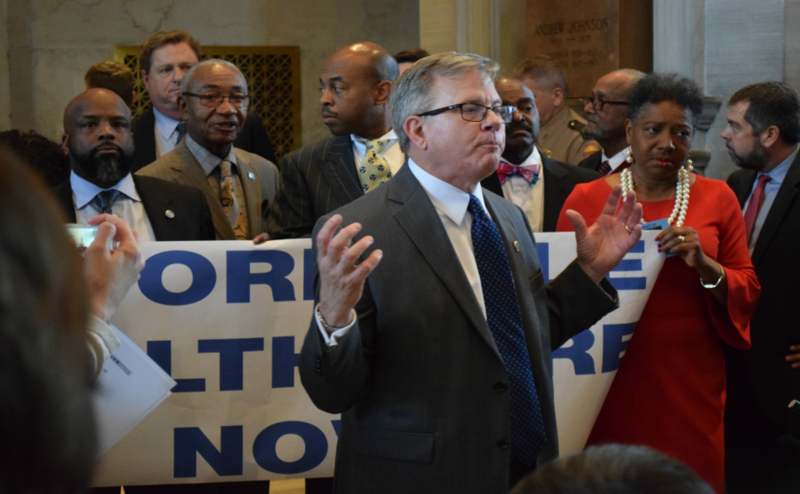 Over 15,000 potential news jobs could arise in these rural areas if funds for health care increased, according to the Tennessee Justice Center website. 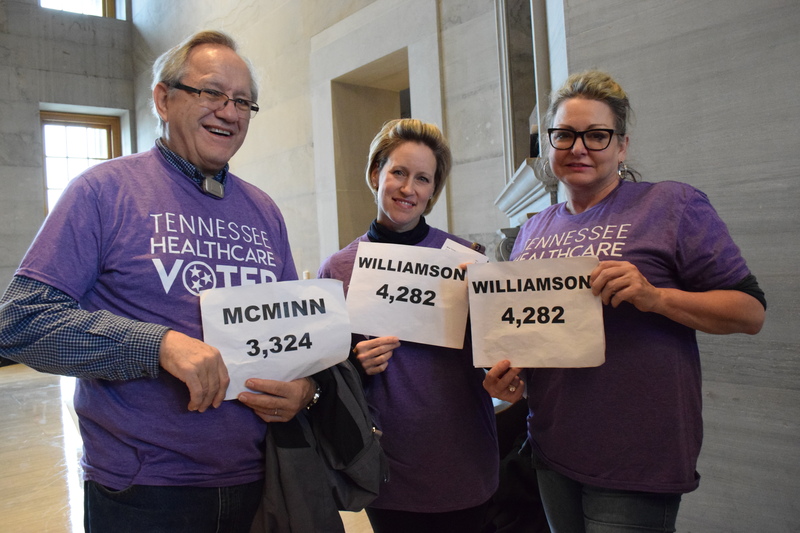 Demonstrators also handed representatives cards that included Tennessee health care statistics. 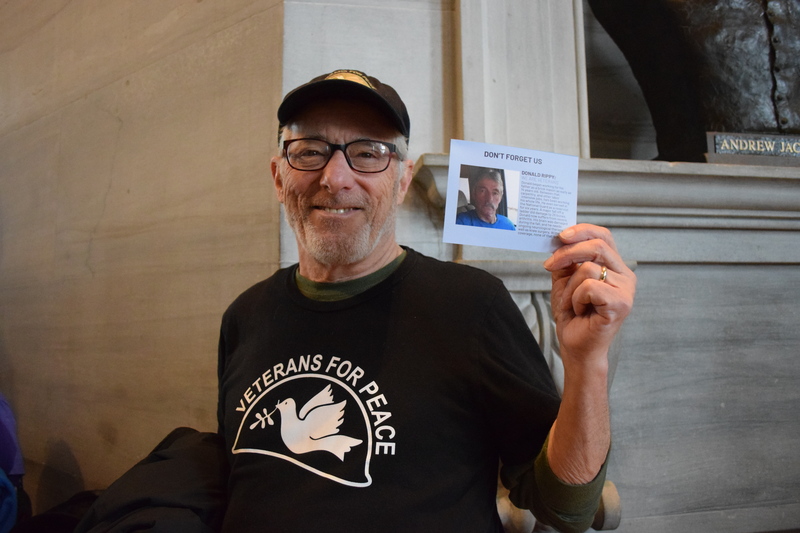 According to the cards, almost $4 million in tax dollars is lost per day, and there are over 25,000 uninsured veterans in Tennessee. 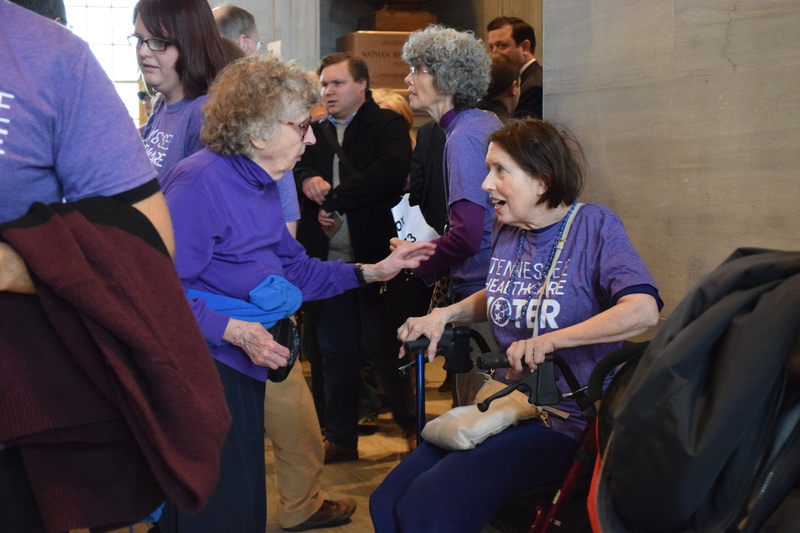 The cards also included testimonies from Tennessee citizens that were mothers, veterans and small business owners and how their lack of health care impacted their lives. Very few representatives accepted the cards that were offered to them. 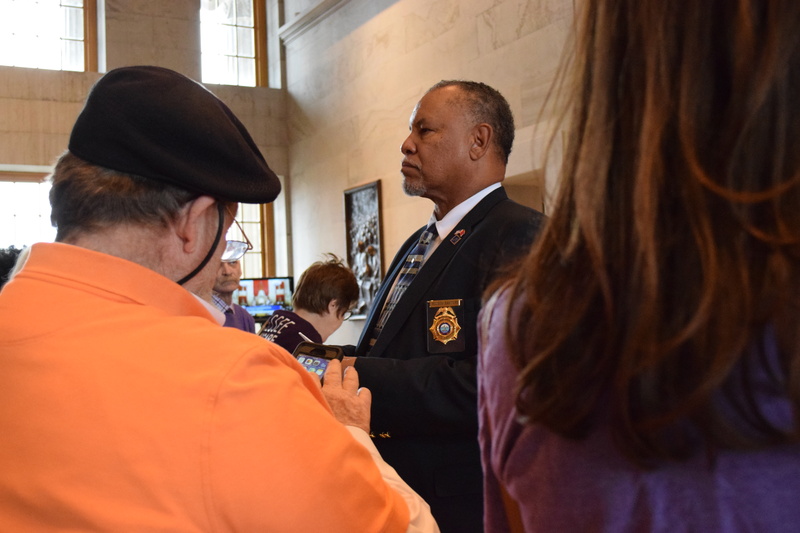 Many of the demonstrators shouted phrases, such as “remember your constituents,” as the representatives walked by. 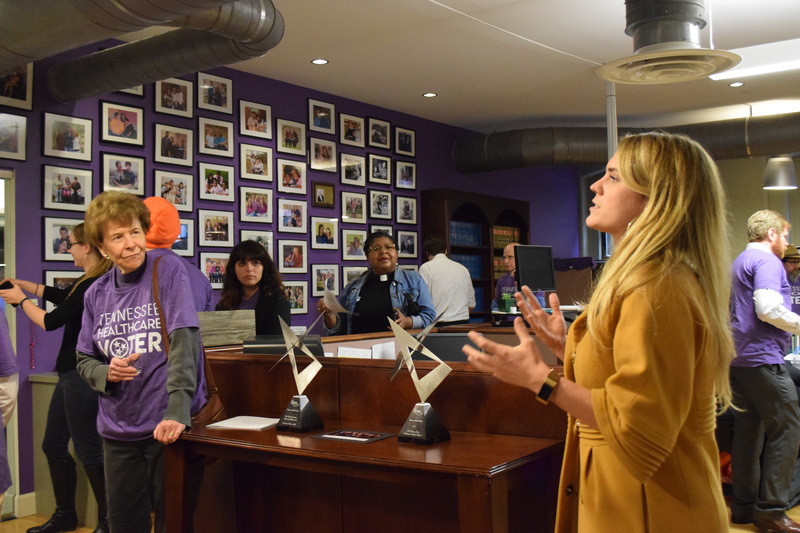 Democrats pushed to support Gov. 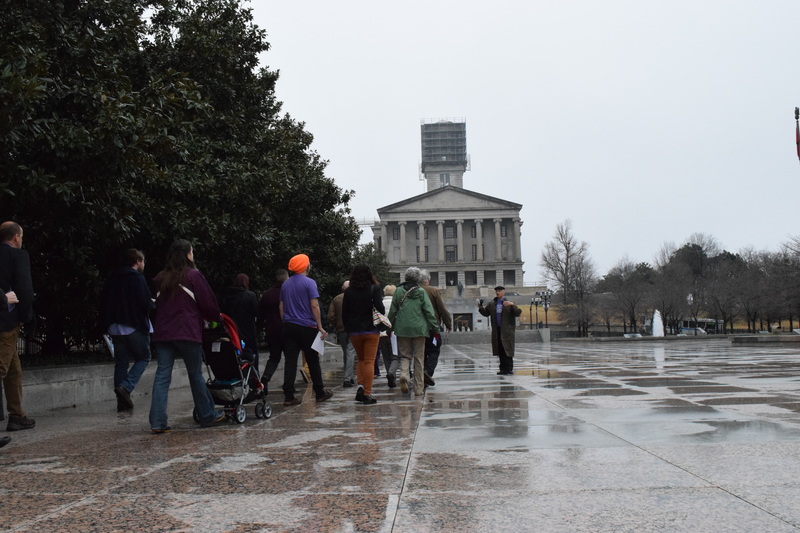 Bill Haslam’s Insure Tennessee plan in Tennessee, but it received little support from Republicans. 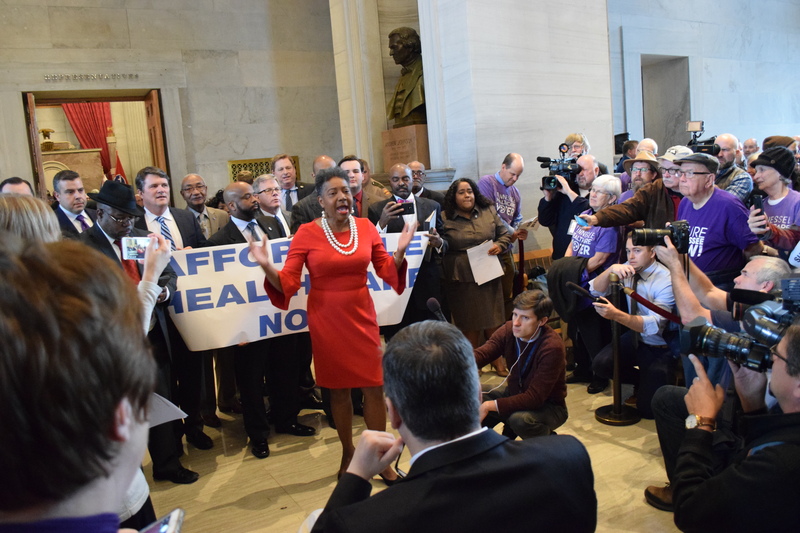 The plan would use federal funding to provide health coverage to uninsured Tennesseans who fall within the “coverage gap.” The coverage gap includes those who cannot qualify for TennCare and do not make enough to receive Obamacare. This creates a gap of coverage for the working class citizens who are uninsured. 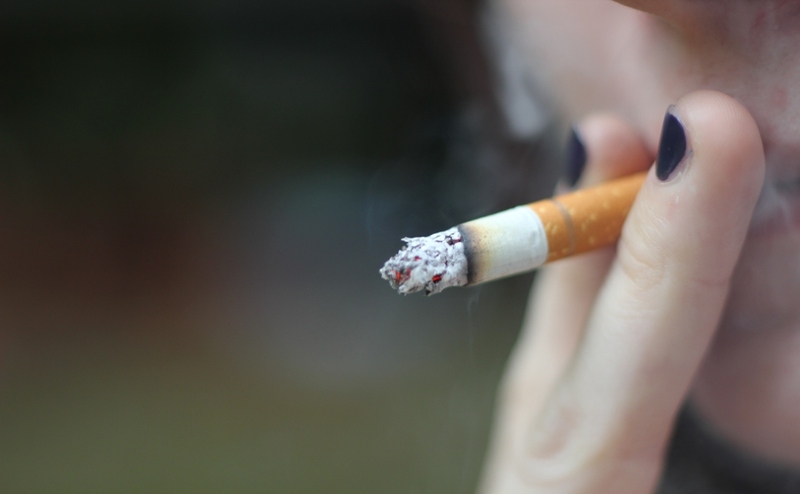 According to americashealthrankings.org, Tennessee is 45th on the national health ranking. 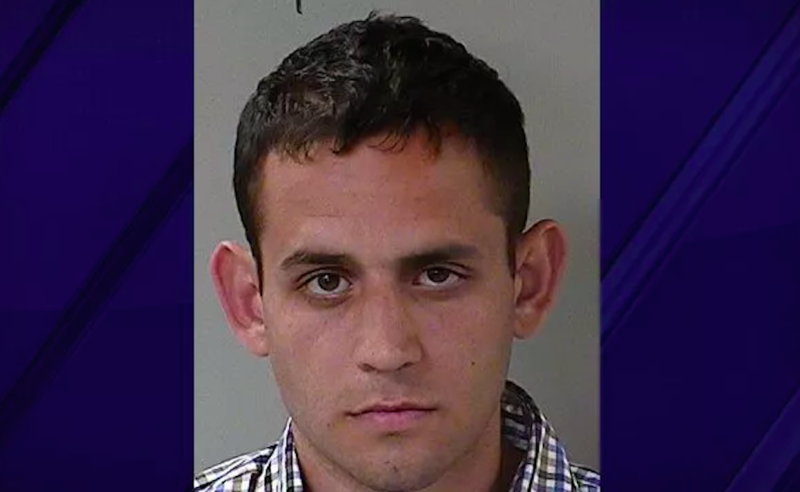 Kirk Braaten, a Tennessee political activist, said that he supported the movement and thought that the Tennessee Justice Center fought for humans rights issues. 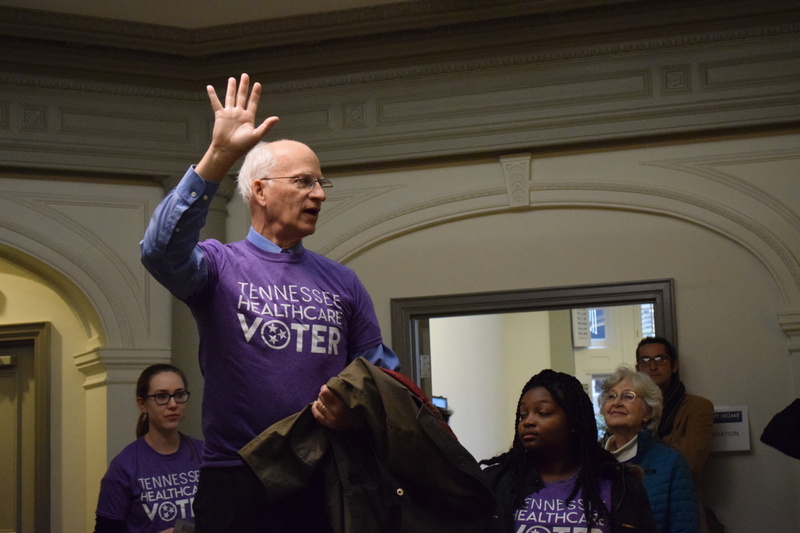 “I am specifically here to try to convince the Tennessee legislation to expand Medicaid and health care and to use the money that has been delegated to the state of Tennessee to provide health care for the 280,000 Tennesseans that are currently without health care,” Braaten said. 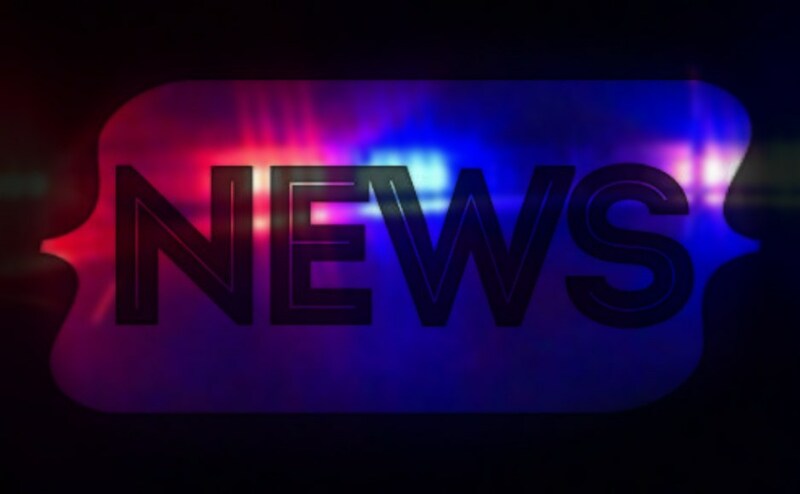 For more information on the Tennessee Justice Center’s health care campaign, visit here. Previous Q&A: MTSU President Sidney McPhee reflects on life, legacy of Martin Luther King Jr.